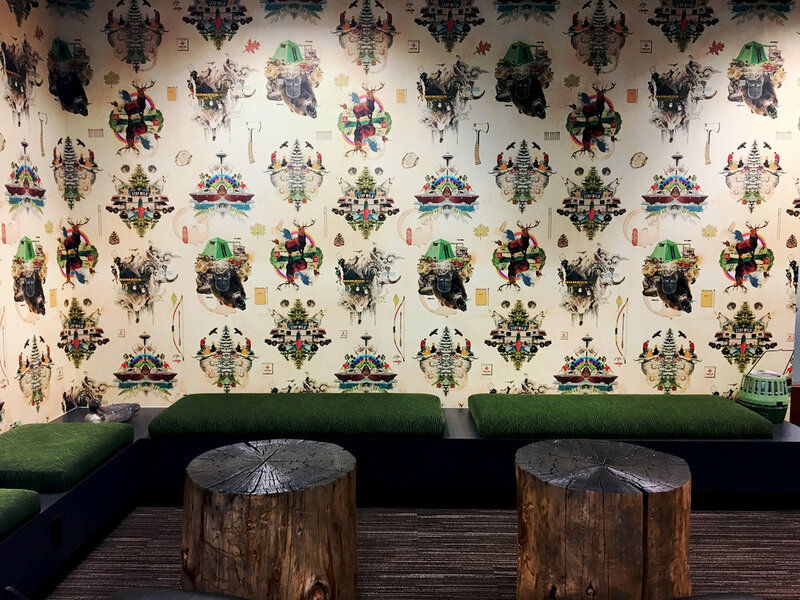 Electric Coffin created four murals derived from classic WPA style posters and a graphic toile wallpaper with custom motifs for Expedia’s Bellevue office. Electric Coffin pushed elements of the Pacific Northwest through a whimsical, beyond-this-world filter. Each component celebrated the wonder of the region and the notion that anything is possible through exploration. This project was completed in partnership with JPC Architects.